Tis the season for spoiling our pugs… not that we all don’t already. If you haven’t got your pug’s Christmas presents sorted already, we have got you sorted with our holiday gift guide: pug edition. 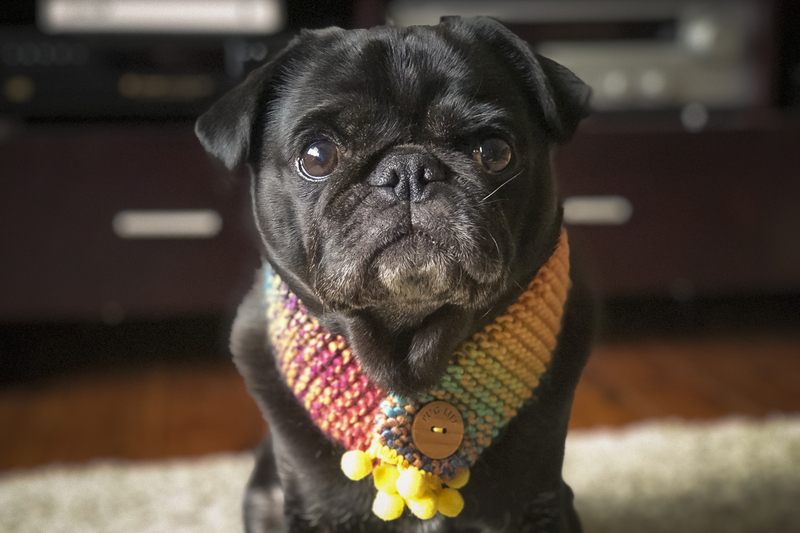 This handmade scarf from Blind But Not is the perfect gift for any pug across the world. They are all made to order with you getting to select the colours and the button making it unique just for your pug. 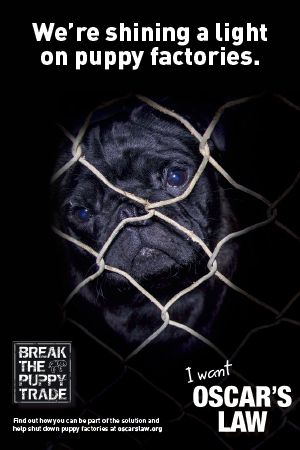 What makes it even better is the proceeds go directly to helping pugs in need. 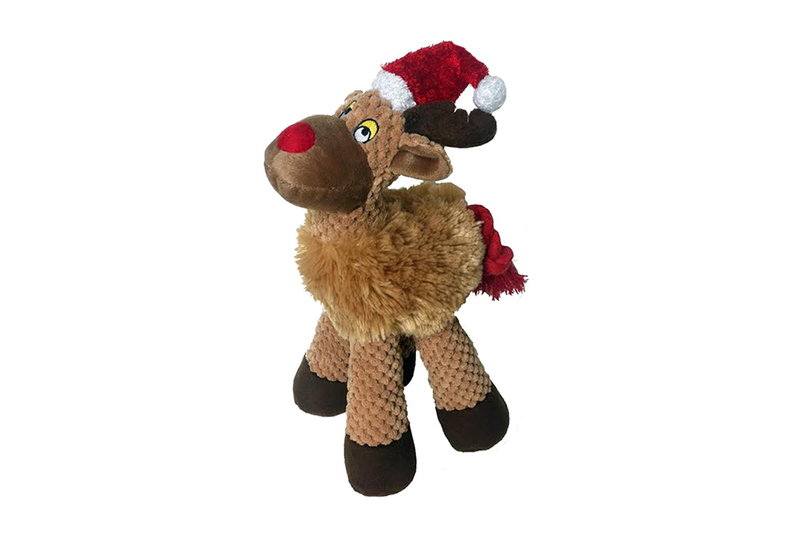 For a little festive toy, this adorable Christmas Rope Tail Reindeer is the perfect plush from ID Pet Australia. Cute, fun and something pug will love. Whilst your checking out ID Pet for this cutie, be sure to shop everything ID Pet as there is something for everyone. A pug can never have too many harnesses especially when they are as fun, functional and comfortable as the King of Graffiti Reversible Harness from Big & Little Dogs. You will love that you get two looks in one harness. 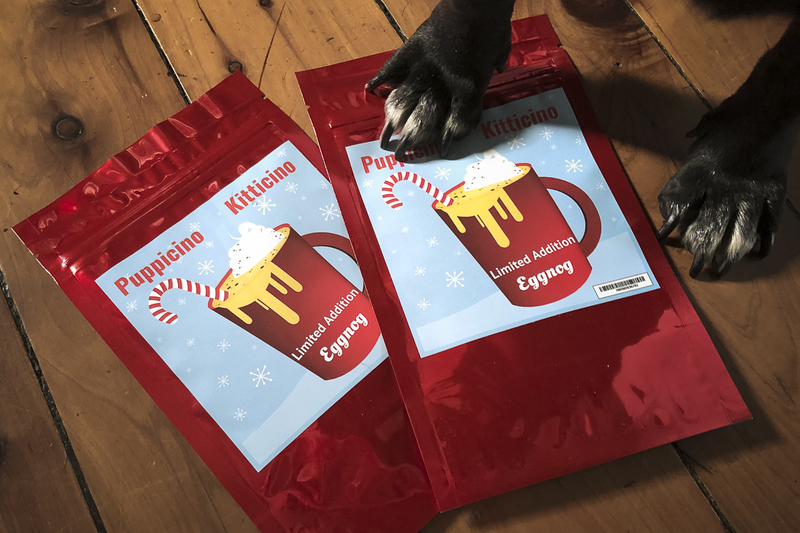 You can’t go past a fun festive and delicious treat to add to your pug’s stocking this holiday season. And the Eggnog from L’Barkery is the perfect treat from Christmas night or a cheeky Christmas Eve drink for your pug. 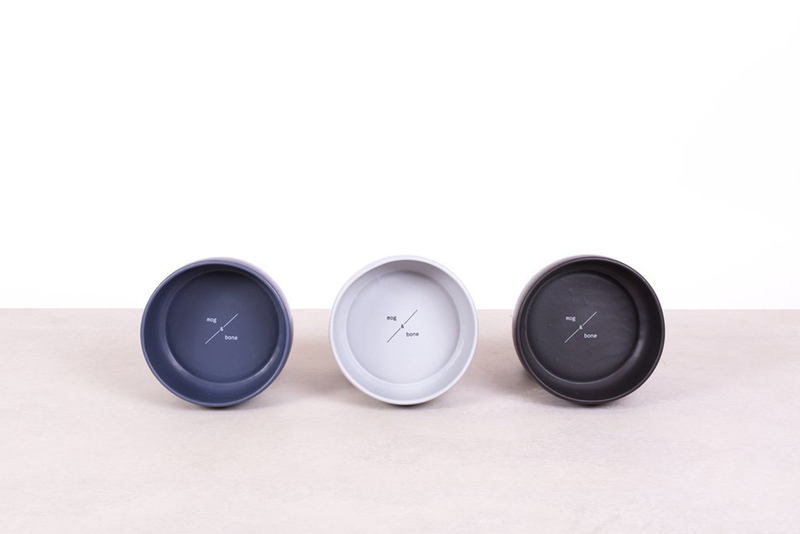 When you don’t know what to buy your pug, why not grab them something nice to drink out of with the classic and classy Dog + Bone Ceramic Dog Bowls from Dogue. 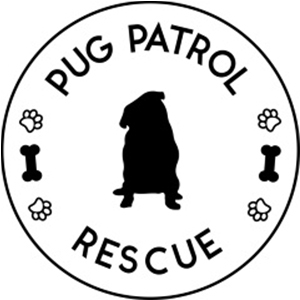 With 3 colours to choose from, it won’t matter whether you are buying it for the lady pugs or gentleman pugs. A comfy bed never goes astray for those chill times for your pug. 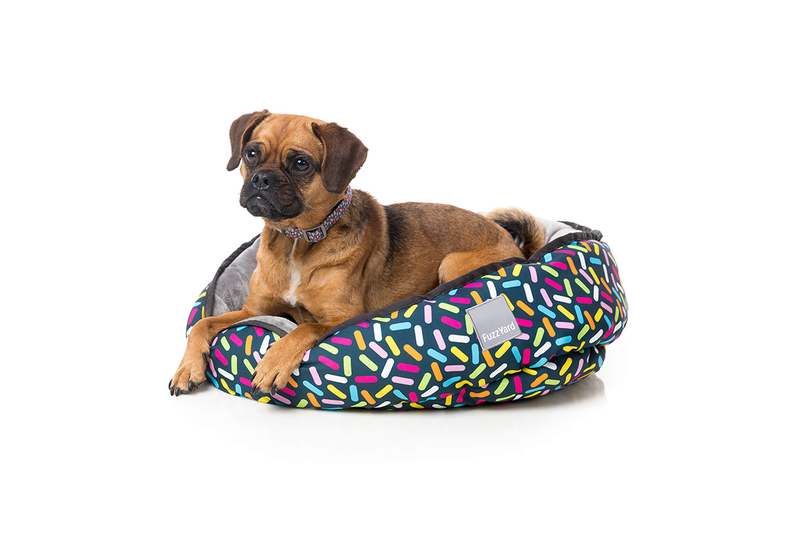 Why not add a bed with some fun style like this Sugar Rush Reversible Pet Bed from Fuzz Yard. Comfort, style and easy to look after, Netflix and chill time never looked so good for your pug. 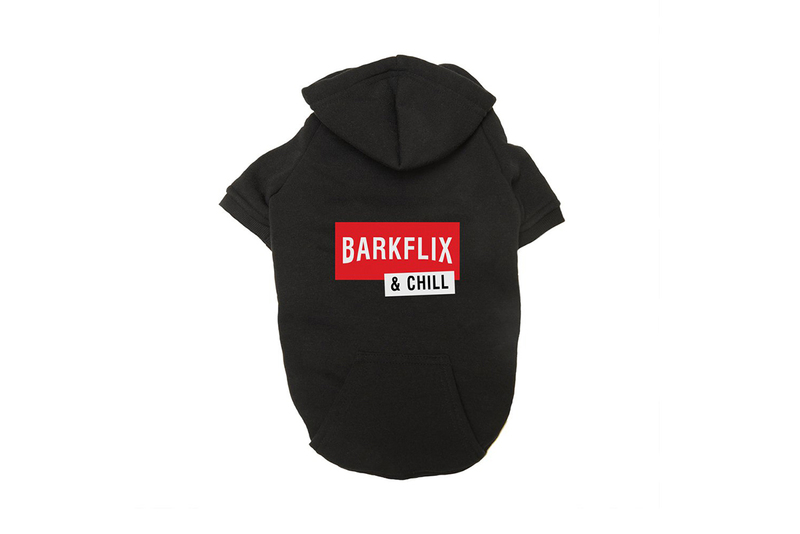 Speaking of Netflix and chill time, your pug will need one of these Barkflix and Chill Hoodies from ID Pet Australia to lounge around in on the weekend when it is chilly. For the pugs that like classic style and to have matching pieces when they head out, the Stripe Squad set from Pupstyle is a must have. You can purchase the harness, lead, collar and even a bow tie to make up any combo you want. For some classic Christmas cheer, why not add some of these adorable P.L.A.Y Cheerful Candy Canes from Dogue to your pug’s Christmas stocking. 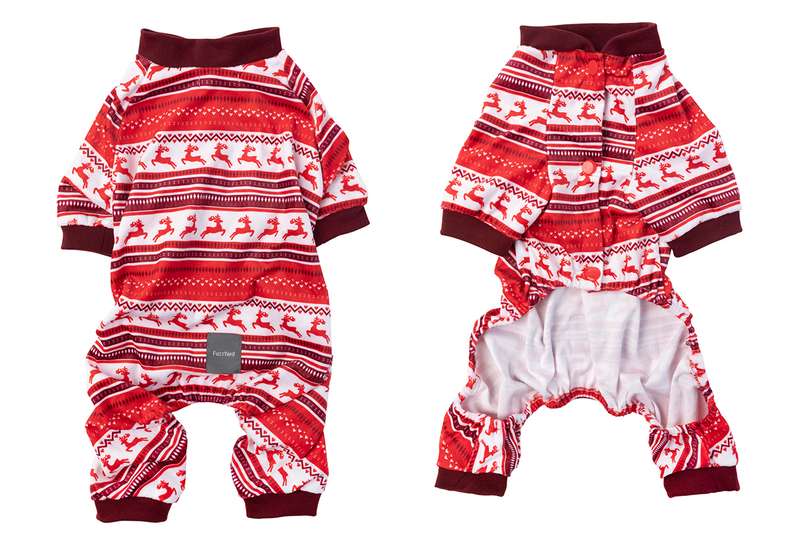 Every pug deserves to snuggle up on Christmas Eve in their very own Christmas jammies so why not grab a pair of the Reindeer Pyjamas from Fuzz Yard so your pug can join in the festive coziness with you. 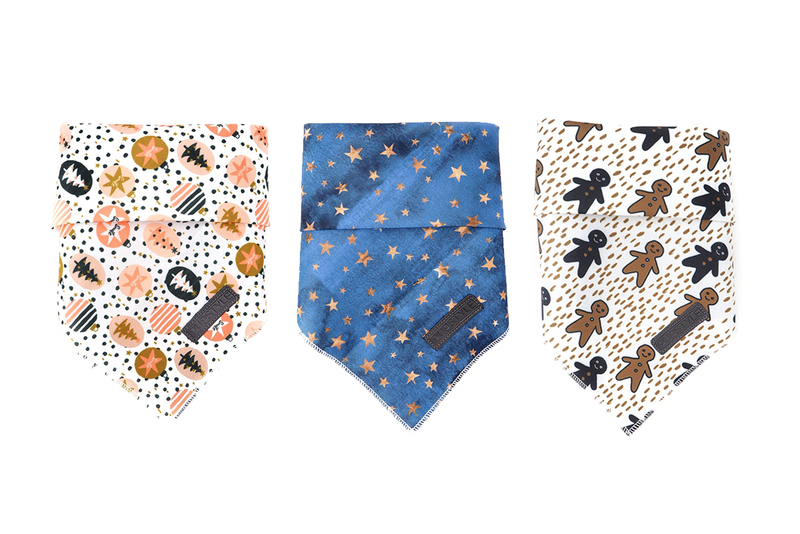 These Christmas bandanas from Pupstyle are the most stylish bandanas for the festive season. Grab the Feliz Navidog, Starry Night or Ginger Pup Tie Up Bandana so your pug can be the most stylish pug this Christmas. 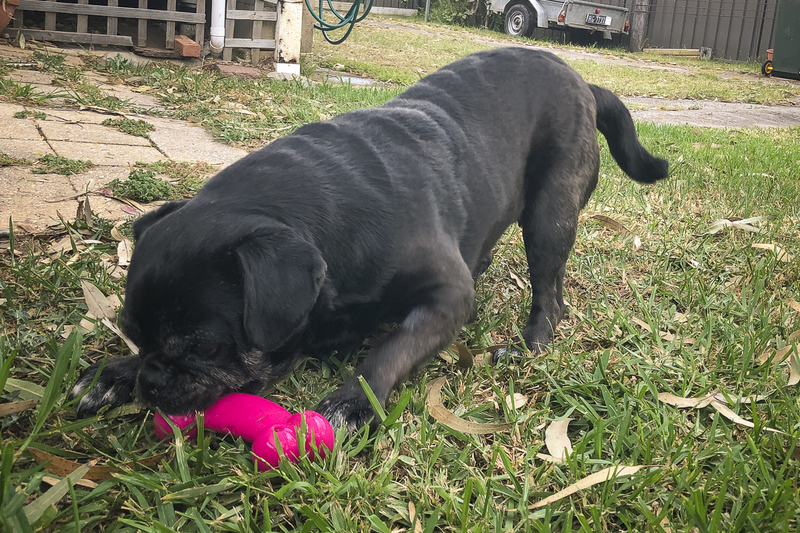 The Kong Quest toys are some our favourite enrichment toys that allow you to stuff some delicious raw food in it making meal time fun and tiring at the same time. Coming in 3 fun shapes, all of the Kong Quest toys from Pet Circle are a great addition to your pug’s Christmas gift. The Classic Gingham Dog Harness Shirt from Moo + Twig is a super practical and stylish shirt harness that comes with your choice of bow tie that is removable. 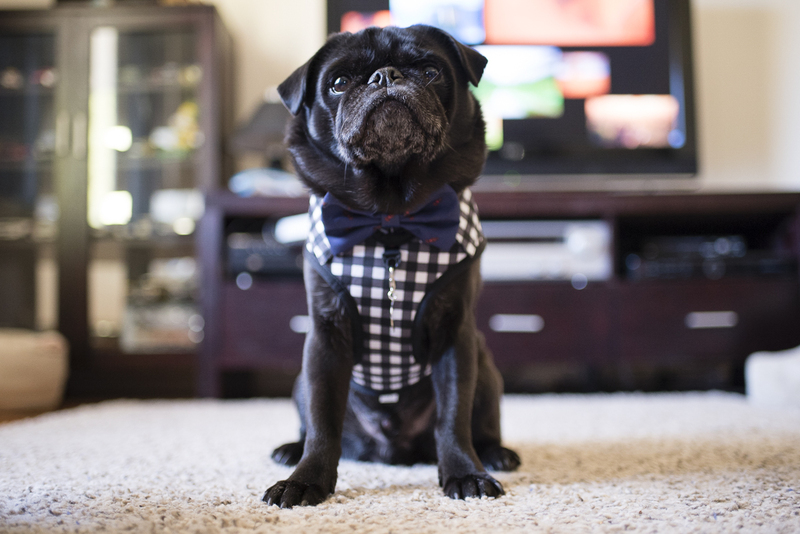 Stock up on additional bow ties to give your pug a number of dapper looks for any occasion. 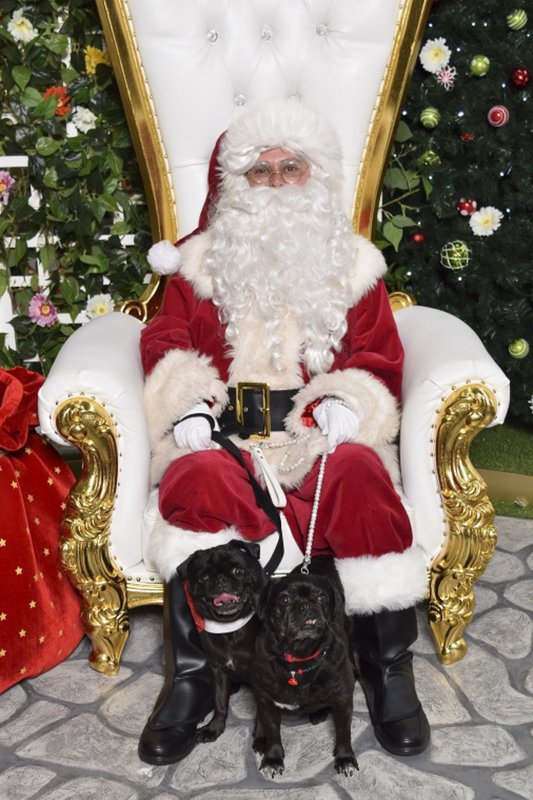 Why not create some fun memories by taking your pug to get Santa Photos this year. With so many shopping centres and pet stores offering Santa Photos, you will absolutely love having these photos to look back on year after year. With plenty of gift ideas for every pug, you are bound to buy more gifts for them these holidays than any human.